should be able to give away business cards well. Well, she is after all, YG’s promotion fairy. Wherever and whenever, she never forgets to do PR. First of all, “Sugarman” is a program where they re-visit the hit songs of singers from the past. The mission is to make it a hit again. The juniors who remake the songs then compete with one another. Here in the waiting room. And the new program promotion director, ah no, new MC sandara Park came out first. Her expression is so full of excitement, it really has been a long time. 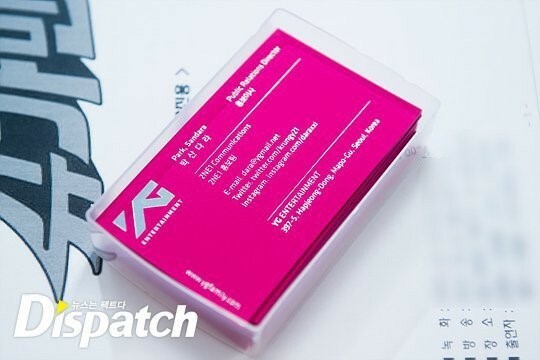 Sandara Park shares the waiting room together with lyricist, Kim Eana. This is the first MC challenge for the both of them. So what do they need now? Right, self.pro.mo.tion. Of course, being an MC is not something that you can be with only a pretty face. Sandara Park immediately went into study mode. She completely immersed herself into the script before the live recording. She never turned her head and kept a low profile even with all the n.oi.se all around. So now that she is done with studying, will she show off her good looks as an MC? 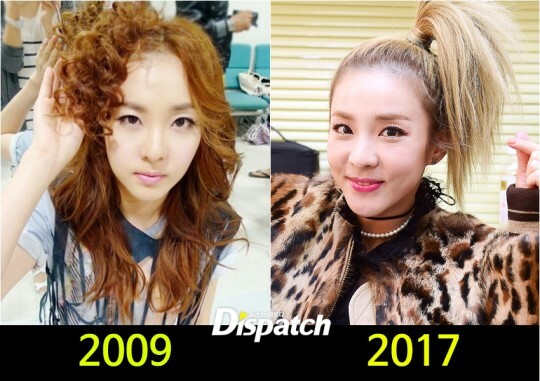 If we think about it, Sandara Park is indeed YG Entertainment’s beauty representative. Shall we have a moment to cleanse our eyes? It is now time for re-touching her make-up. It’s finally recording time. PR Fairy, are you really feeling okay? Although it’s been 6 years since she debuted, she can’t help but feel ‘nervous’ still. However, Dara says that she chooses to believe in herself and practices this strength in real life. Sandara Park shows her progressing skills as an MC, improving fast. “Two Yoo” seem to be captivated with her. Yoo Jae Suk shows an uncle-like smile, the same with Yoo Hee Yeol. Recording for this day has ended successfully. The hidden “Sugar Man” who made appearances left a deep impression and touched hearts deeply. If Sandara Park could choose, which “Sugar Man” would she like to see? ☞ Finally, the final task for PR Fairy. This time around, she’s going to appeal to the fandom using her visuals. Even if you aren’t a “fan ahjussi” (or even if you’re a woman but not a fan), you should still save the following pictures.